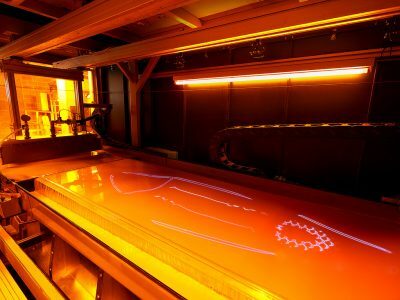 In the eyes of many people, 3D printing is a very complex technology that is only accessible to experts. Creating a three dimensional design? Getting access to a 3D printer? Choosing the right printing material? It often seems like a lot of research would be necessary for all of this. But the truth is: times have changed, and you can create your first print faster and easier than you might think. 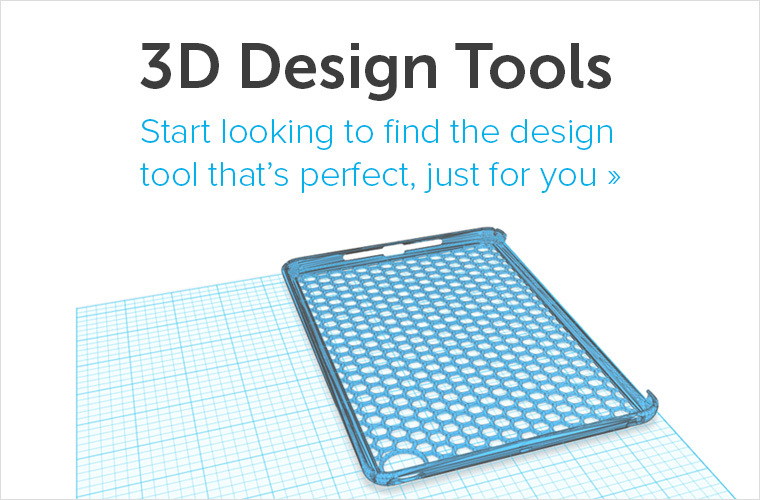 You can create a 3D design with free online apps and print without even owning a 3D printer. Before we talk about the actual printing process, a printer needs the information on what to print: a 3D design. 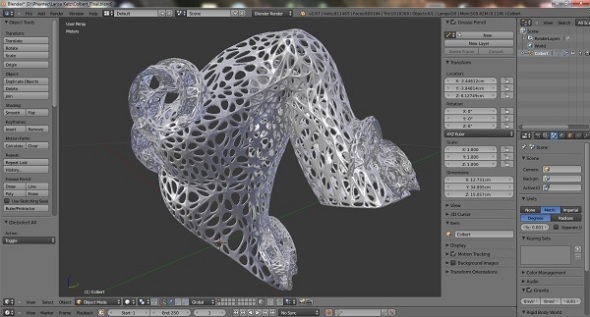 There are hundreds of programs to create those kind of files (we recently compiled a ranking of the 25 most popular 3D modeling software programs). Many of these programs have an interface that scares off beginners. When people think of 3D modeling they often have in mind something like the screenshot below. 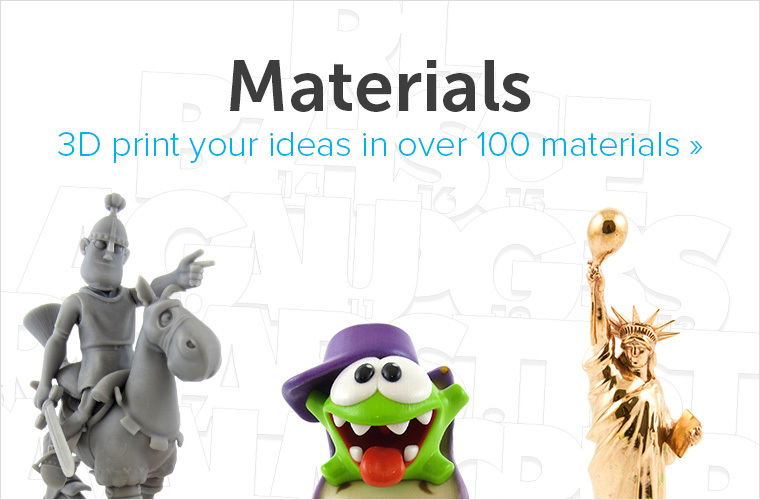 Can you create amazing 3D prints with this software? Absolutely! 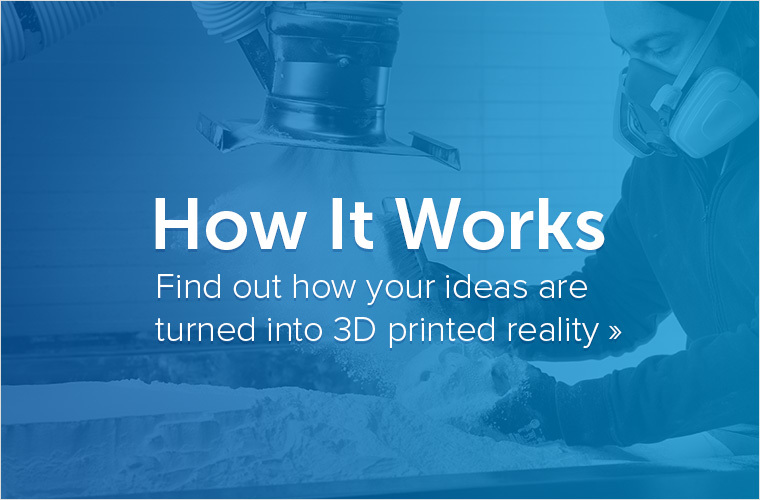 Will it be super-easy to get your first 3D model ready to be printed in a matter of minutes? Well, probably not. So let’s choose a beginner-friendly program to learn the basics first – you can always switch to more advanced software later. 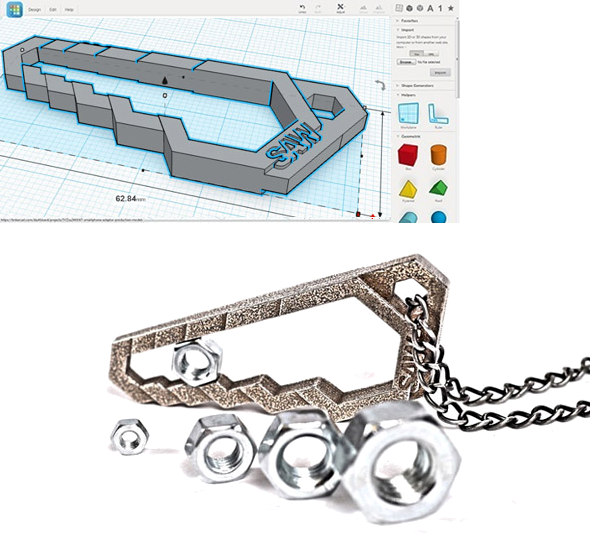 One of the best and most popular free design apps for beginners is Tinkercad. It’s intuitive, has a clean and simple interface and it’s free. You don’t even need to download it – it runs in your browser. So you don’t need to invest money and a lot of time to get started with 3D modeling and 3D printing. So we’ve got a solid, risk-free software to start with. What’s next? The hardest part of it all is coming up with an idea of what to design. The good old “blank slate” situation. In order to overcome the blankness of your computer screen, just think about a simple item that you’d like to go for: what kind of problem would you like to solve? Is something in your house broken which you don’t have the spare part to fix? Would you like to attach your smartphone to your bike? Would you surprise someone with a customizable gift? Pete Gamby from Opticron wanted to use his high-end digiscope with his iPhone. There was no product like this out there yet, so he couldn’t just walk into a store and buy it there. Instead, he created a 3D model in Tinkercad, printed it (we’ll come to the printing part in a minute), and now has a one-of-its-kind product. He can use this product for himself, or reproduce it with a click of a mouse and start selling it. Another cool thing: Pete can edit and adjust the 3D model for another smartphone in a few clicks. 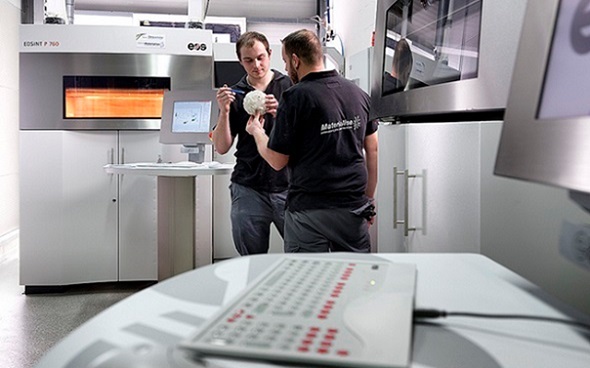 Customization, innovation, creativity and finding individual solutions – that’s what 3D printing is all about. Let’s take a look at another example. Let’s assume that you have a brilliant idea about how to solve any cyclist’s life problems with one easy tool. Sounds good, right? 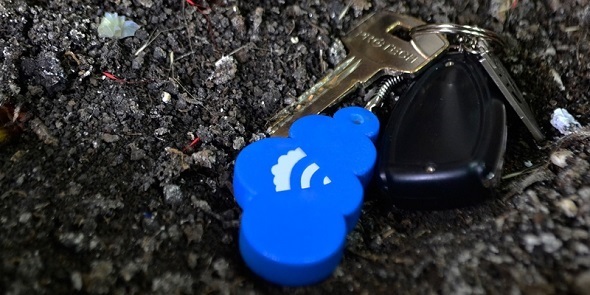 Thanks to 3D modeling and 3D printing you can turn this idea into reality. Even in 3D printed steel. But so… this must be complicated, right? Not really, because you can 3D print without owning your own 3D printer. If you are unsure about which home printer to buy, if you need prints of a professional quality or if you need prints in materials that typical home printers cannot offer (metals, ceramics, multicolor, wood, etc.) 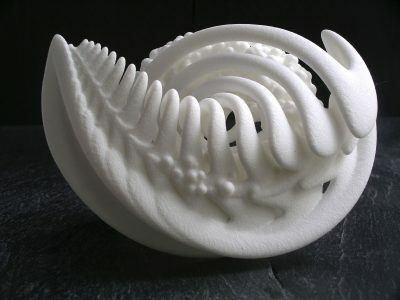 then there are online 3D printing services like i.materialise for that. It’s just like your holiday photos: while some people like developing and/or printing photos themselves, others just use an online printing service. With 3D printing you can do the same thing: after you are done modeling, you can directly send the file to our service. Some programs, like Tinkercad, have a built-in function to send it directly to our website. Alternatively you can save the 3D file and upload it on our site. You’ll get a preview of your print on our website, you can select the material and finish of your choice, and you will see the price of your high-quality print in real-time. The object is then printed on one of our professional 3D printers. Picture from one of our printing rooms. Copyright by Flanders Investment & Trade. With more than 100 options in material and finish combinations, making the right material choice can seem a bit complicated at first, but the distinction can be made quite easily. Basically, there are three big families: plastics, metals, and everything else. Plastics: Polyamide is hands-down the most used plastic-based material. It can be dyed, smoothened, or even be given a fluffy velvet finish. Alumide is based on polyamide but includes some sparkling aluminum particles. ABS is the strongest plastic, but its surface is also much rougher. Resin is smoother, has a bigger maximum print size, and even comes in transparent and HD versions. Scale modelers favor the Grey Resin and Standard Resin. While resin looks amazing, it’s typically suited for models with limited functionality. Metals: Make it strong in steel, even stronger in titanium, or very detailed in HD steel. 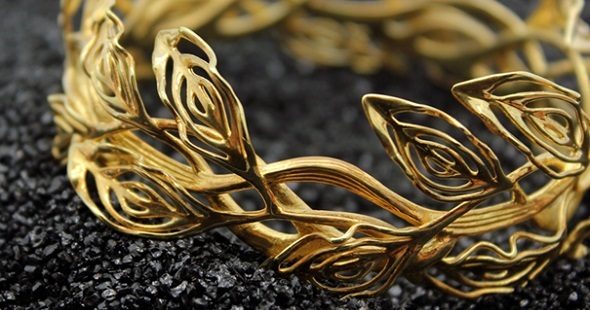 Jewelry designers typically choose gold, silver, bronze or brass for their designs. 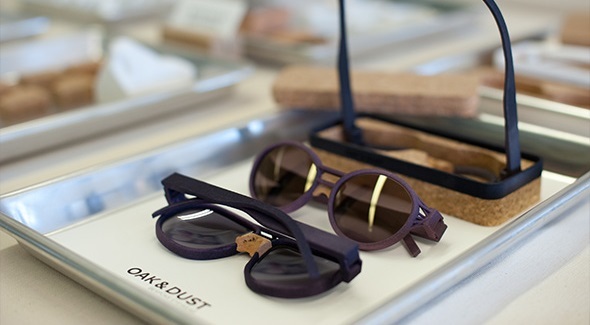 Others: Further materials include multicolor (a material that is colored while being printed), ceramics, wood, and the most flexible option: rubber-like. Learn more about these materials as well as the printing processes behind them in this blog post. For example, we covered how it is possible to print objects with interlocking part. This wooden treasure chest below comes out of the printer with fully functional hinges and doesn’t need to be assembled by hand. ‘Teeny Tiny Treasure Chest’ by Lucas Alousis. 3D printed in wood. 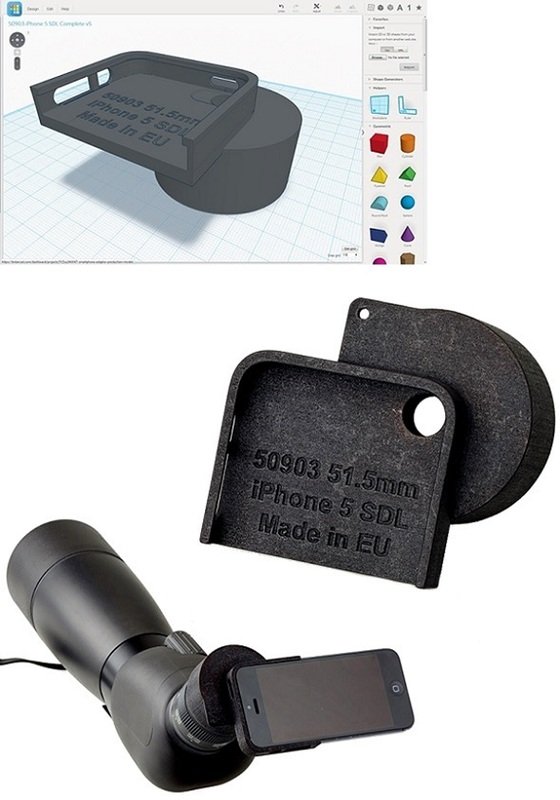 While Bosnian tech startup WiKey printed prototypes of their upcoming tech gadget with us (above), Hong Kong-based jewelry designer Desmond Chan printed a one-of-its-kind jewelry collection (below). 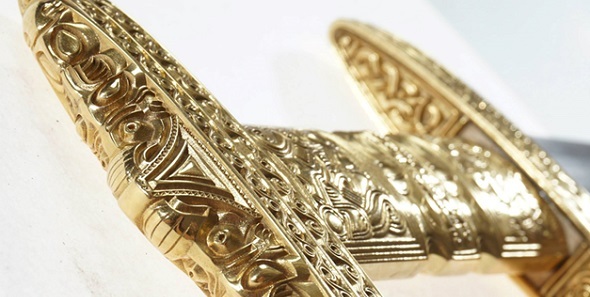 Norwegian teacher and game developer Nils Anderssen created a perfect replica of a 6th century sword for a museum (above) and industrial designer Adrian Gögl from Switzerland printed customizable eyewear (below). Never has it been easier and more achievable to turn an idea into a real object. So are you curious to learn more about 3D printing? Check out our list of the 25 most popular 3D modeling programs first, then learn to avoid the 5 most common mistakes when designing for 3D printing. Make also sure to read our introduction about all-important 3D printing technologies and materials. Is your design ready to get printed? Then upload it here and get your price instantly.